Reagan and I have been busy getting ready for Valentine’s Day by creating some sweet decorations for our home and special gifts for our friends. How fabulous it is that my daughter has so much love in her heart; we could all learn a thing or two from this amazing toddler! 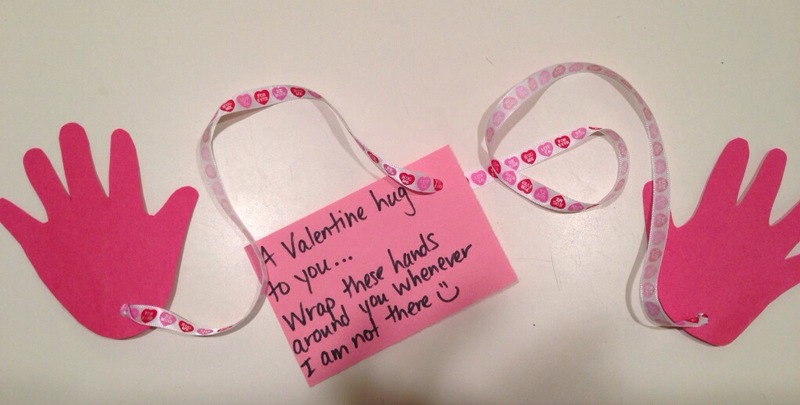 Here are our favorites for the month that’s dedicated to love. Make sure to check back Saturday to see what we’ve been working on for our friends and family! 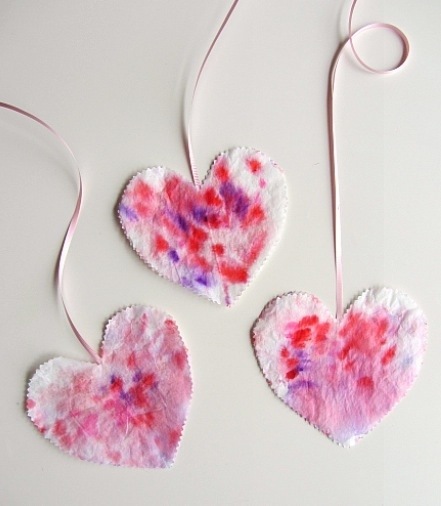 No Time for Flashcard’s Coffee Filter Hearts are absolutely adorable and simple enough for my marker loving toddler! 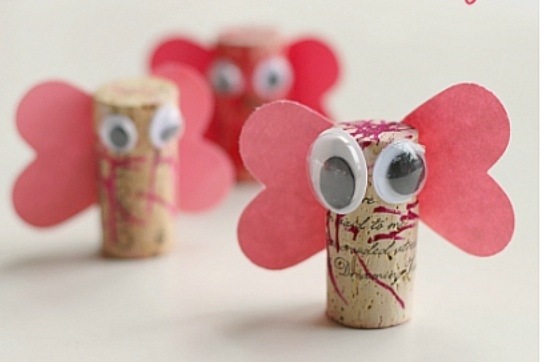 With no shortage of wine corks in the house, these Love Bugs from No Time for Flashcard’s are a definite must make! 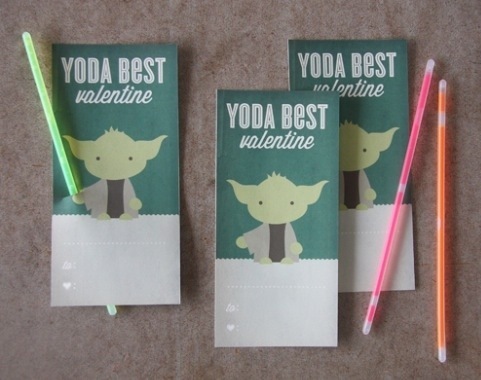 The Yoda inspired Valentine from design. wash. rinse. repeat… couldn’t be any cuter for your Star Wars lovin kiddo. Added bonus- a free printable!!! Mom’s by Heart is offering up this fabulous and FREE printable! Who doesn’t love glow sticks? Reagan finds Whoopie Cushions to be hilarious; she seriously can’t get enough! 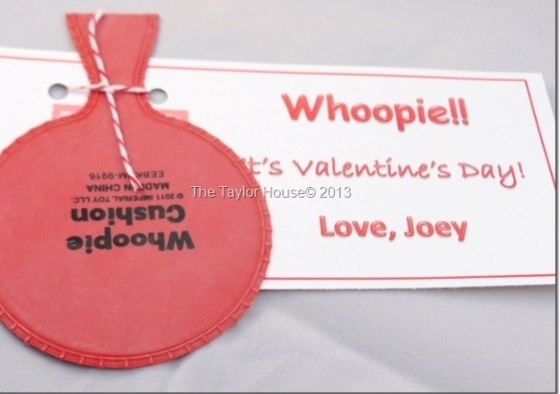 the Taylor house is rocking it with these awesome Valentine’s and tops them off with a FREE printable! 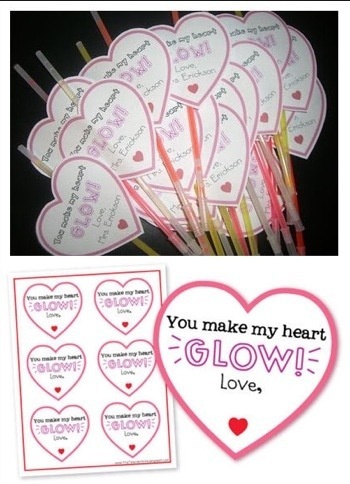 Even though this Valentine isn’t rocking a free printable, it is still super cute and perfect for a few special friends! 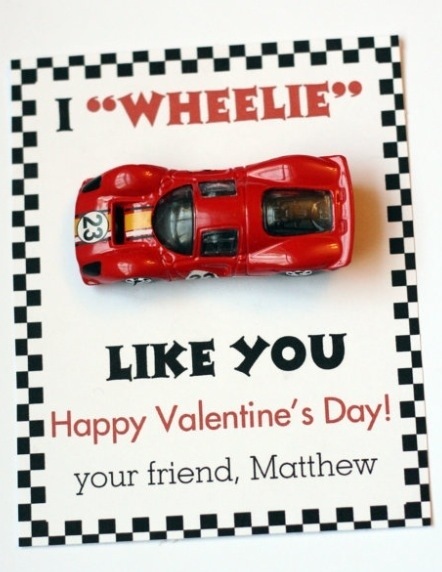 bellaellaboutique, on etsy, created this Wheelie Cool Valentine! 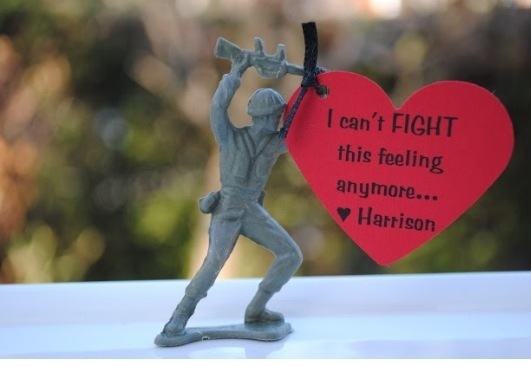 I’m loving Jacolyn Murphy’s All is Fair in Love and War Valentine’s. These would definitely be a favorite with an older crowd! We created A Little Love for our family. 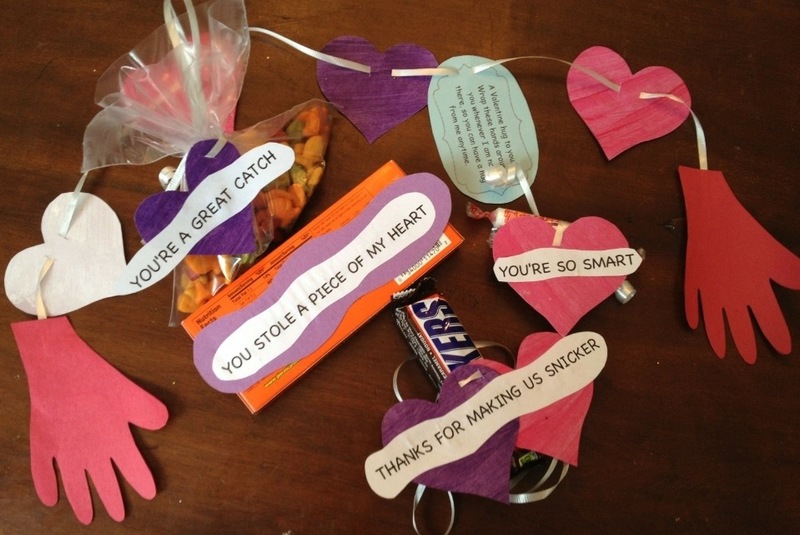 These were the Sweetest Sayings! 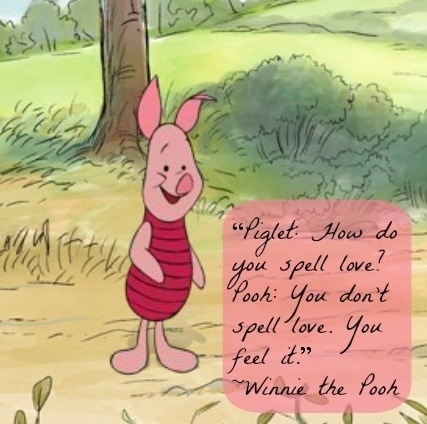 How simple it is to help your child show their love!